The vast Nullarbor Plain is an area of virtually flat, treeless plains in South Central Australia. It is located between the Great Victoria Desert in the north and the Great Australian Bight in the south. 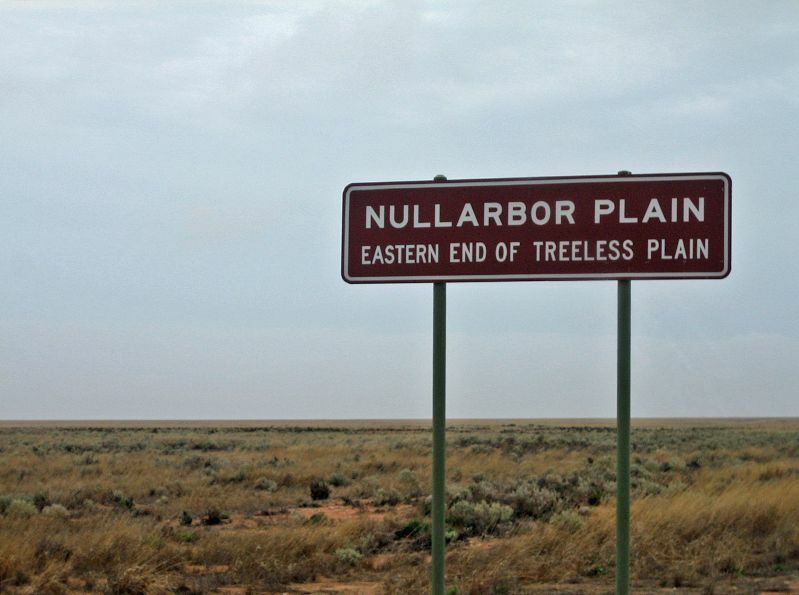 Nullarbor is Latin and means ‘no trees’ (nullus arbor). Covering an enormous area of 104,248 square miles, the plain is officially the largest single piece of limestone in the world. Its limestone karst landscape extends for about 746 miles between Ceduna in South Australia and Norseman in Western Australia. 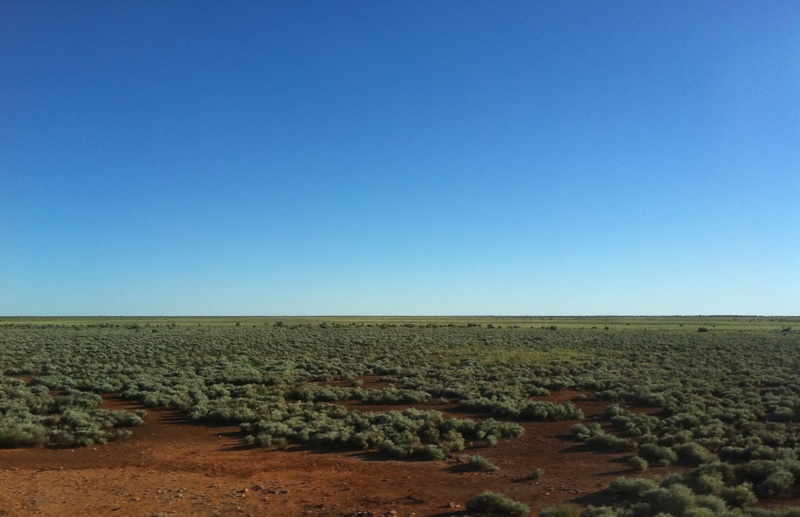 The Nullarbor Plain has a desert climate with semi-arid to arid conditions. The mildest temperature are measured close to the coast, while more inland it can get sweltering hot during the day and freezing cold overnight. The Nullarbor has large meteorite deposits, several meteorites have been discovered in the area around Mundrabilla. The region’s dry climate is the reason many space rocks are so well-preserved. The plain used to be the bottom of a shallow sea. Its limestone is made up of calcareous skeletons of little ancient sea creatures. The region is known for its karst topography and, although not always visible, the landscape is dotted with many caves, sinkholes, and dolines, which are circular depressions. There are more than 250 known caves. The underground is so porous that in some places the ocean flows inland up to several hundreds of meters from the coastline, creating underground river systems and blowholes in caves. The caves provide refuge for many native animals and are important places to the local Aboriginal people. Rock holes are significant as well, as they are the only places in the dry Nullarbor that can trap and keep water. More than fifty mammal species live in the Nullarbor Plain. The area has one of the largest populations of southern hairy-nosed wombats. Desert mammals such as Dingoes and Red Kangaroos are abundant as well. Almost 300 bird species are known to inhabit the region; some of them are endemic to it. The caves and underground rivers are home to rare beetles, spiders, and crustaceans. A large part of the Nullarbor Plain is protected by the Nullarbor National Park. 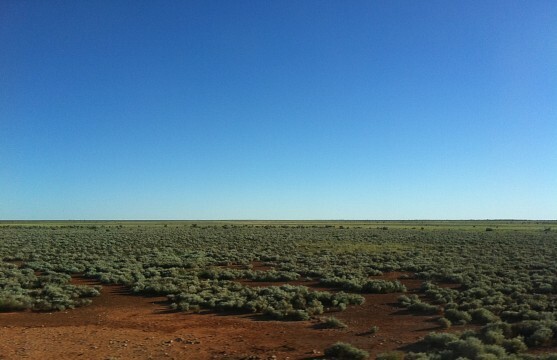 The Nullarbor Plain has been inhabited by Aborigines for many thousands of years. It was been used by the semi-nomadic Wangai and Spinifex people before the arrival of the first Europeans. Those first explorers, by the way, considered the plain to be uninhabitable. The first successful European crossing of the Nullarbor was done by Edward John Eyre in 1841. After departing Fowlers Bay in South Australia in 1840, together with John Baxter and three other Aborigines, three of his horses died of dehydration and the party was forced to turn back. He set off on a second expedition in February 1841. The lack of water and insufficient supplies resulted in mutiny. Two of the Aborigines killed John Baxter and left with the remaining supplies. Edward Eyre continued the expedition with Wylie, the third Aborigine. They survived by using bushcraft and by luck. After stumbling upon a French whaler that was located at Rossiter Bay , they received new supplies. The two men completed the Nullarbor crossing in June 1841. The next remarkable feat happened in 1896 when Arthur Charles Jeston Richardson, pedaling a bicycle across the Nullarbor Plain and became the first cyclist to do so. He biked from Coolgardie to Adelaide, a journey that took 31 days. He carried only a small amount of supplies and a water bag. The first women to cycle across the treeless plain were Wendy Law Stuart and Shirley Duncan, who cycled around Australia from 1946 to 1949. Crossing the Nullarbor Plain still requires some preparation and planning and still offers adventurous experiences. 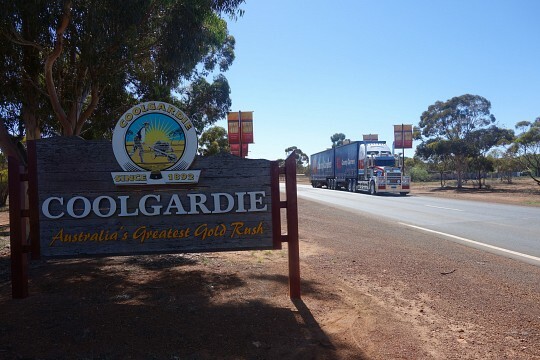 Stickers saying ‘I crossed the Nullarbor’ can be bought in roadhouse and shops on both ends of the plain. 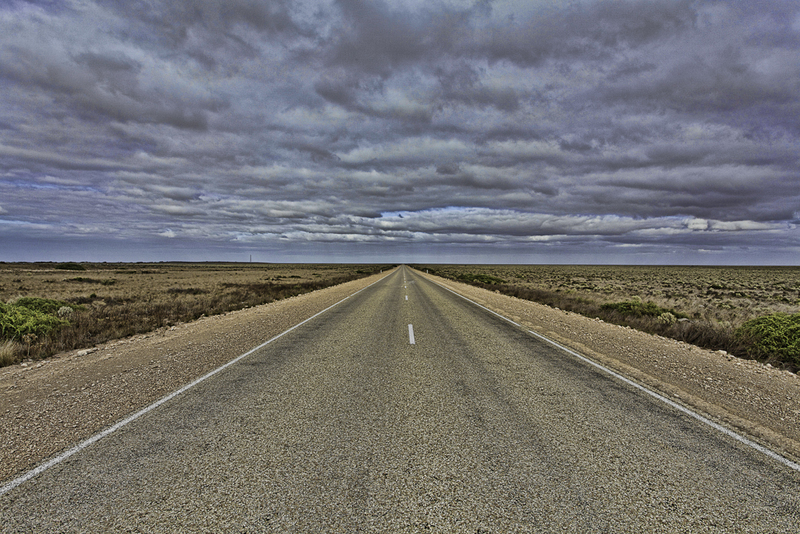 There is only one road through the Nullarbor, the Eyre Highway. There are a few short detours to sights and attractions, but people who want to travel to more remote areas are strongly advised to prepare themselves and carry sufficient water, food, fuel and emergency materials, as there are no facilities whatsoever. Popular activities are caving, 4-wheel-driving, whale watching, and sightseeing. Visitors can go on scenic flights over the park, possibly the very best way to grasp the sheer size of the Nullarbor. 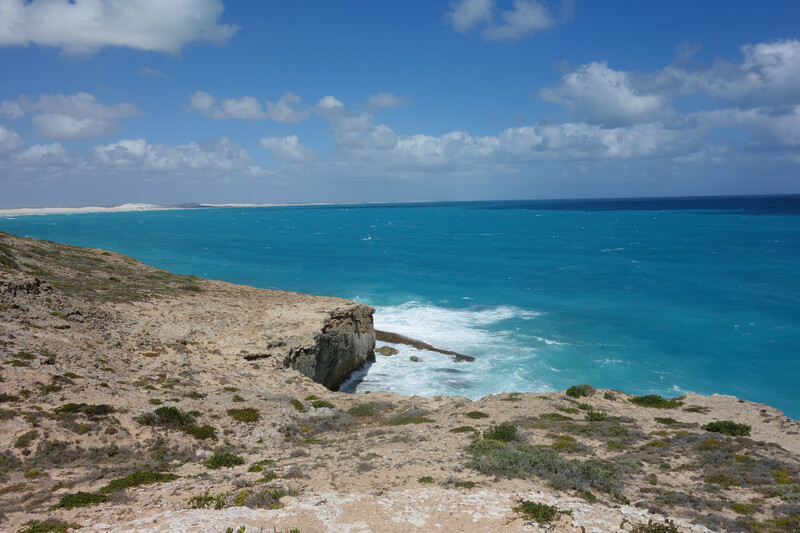 One of the most popular attractions is the Bunda Cliffs, located in Nullarbor National Park. 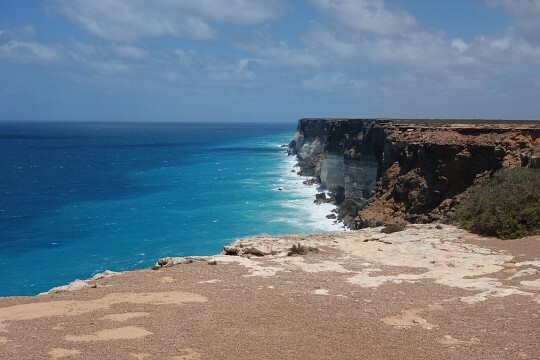 These spectacular cliffs can be reached along a short unpaved road off the Eyre Highway. There is a large car park, a boardwalk, and a nice viewing platform. A few caves are open to the public. The three Murrawijinie Caves lie ten kilometers from the Nullarbor Roadhouse and can be reached on a rough unpaved road. Other highlights on the Nullarbor Plain are the Eucla Telegraph Station, Murphy’s Haystacks, and all the roadhouses on the way. Australia has its fair share of desert, but none are as accessible as the Nullarbor Plain. Other large desert areas are the Simpson Desert, Great Sandy Desert, Gibson Desert, and Great Victoria Desert. Great desert around the world are the Atacama Desert in Chile, Death Valley National Park in the United States, the Gobi Desert in Mongolia, and of course the Sahara in northern Africa.